Parents of babies and toddlers know all about sleep deprivation and its negative consequences - reduced mental clarity, lower productivity and sheer exhaustion. But there are many other reasons people can experience difficulty falling asleep or sleeping through the night. Stress, anxiety, a too-active brain and the hormonal and physical changes that come as we age are just a few of them. Sleep is so important to restoring our minds and bodies. Without proper sleep, we feel grumpy, sore and forgetful. I often go to sleep with achy legs and wake up after eight hours feeling restored. Lack of sleep is thought to contribute to more serious issues too - the sleep-deprived are more prone to obesity, heart disease, stroke, kidney disease and high blood pressure. Maintaining healthy sleep habits is called having good sleep hygiene. On average, we need seven to nine hours of sleep per night. But how can we get a good night's sleep if we wake up once or more during the night or have trouble falling asleep in the first place? 1. Keep a regular schedule. Go to bed at the same time and get up at the same time, even on weekends. This will help regulate your body's internal clock. 2. Establish a relaxing bedtime ritual. Tell your body when active time is over and it's time for rest. Drink an herbal tea or warm liquid magnesium supplement, read a book and mist your pillow with a relaxing spray. 4. 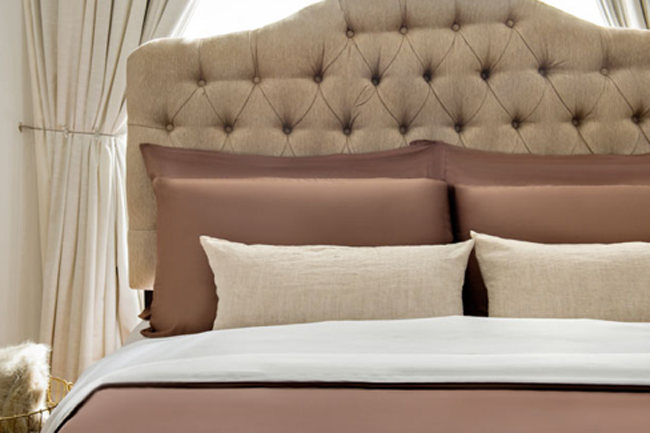 Ensure your bed is cozy and inviting. Choose comfy sheets and blankets that make you want to crawl into bed. 5. Avoid naps, especially in the afternoon. 7. Set your thermostat between 60 and 67 degrees Fahrenheit. 8. Eliminate light and noise. Kick your snoring partner out of the room. Just kidding - sort of. Use tools such as ear plugs, white noise machines, humidifiers, fans, blackout curtains or eye shades. 9. Choose a comfortable mattress and pillows. 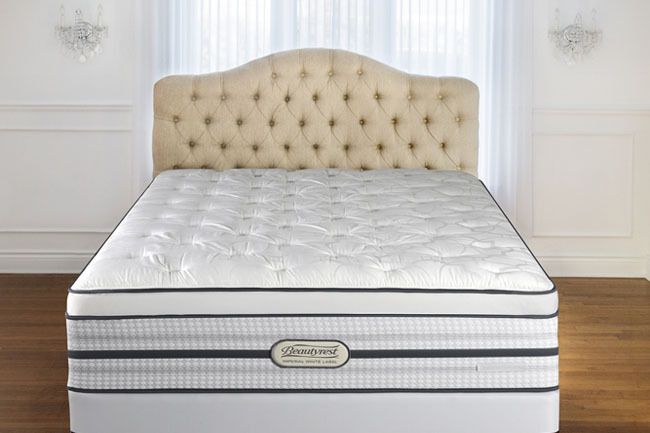 Make sure your mattress is supportive and hasn’t exceeded its life expectancy. Sleep Country has these tips to choose the right mattress. 10. Avoid alcohol, cigarettes, caffeine and big or spicy meals in the evening. All of them can disrupt sleep. 11. If sleep eludes you, leave the bedroom to do something relaxing until you feel tired. If you still find sleep difficult, talk to your doctor or naturopath about supplements such as melatonin and consider seeking a referral to a sleep counsellor or sleep clinic. What style of sleeper are you? The type of sleeper you are - side, back, stomach or a mix - helps determine what type of pillow works best for you. Here are some thoughts on sleep styles. The in-store sleep experts at Sleep Country know all about mattresses, pillows and sleep. They are thoroughly trained in the classroom to help customers find everything they need to get a better sleep. They can also help you choose beautiful, inviting bedding basics to make your bed a place that properly welcomes you after a long day. 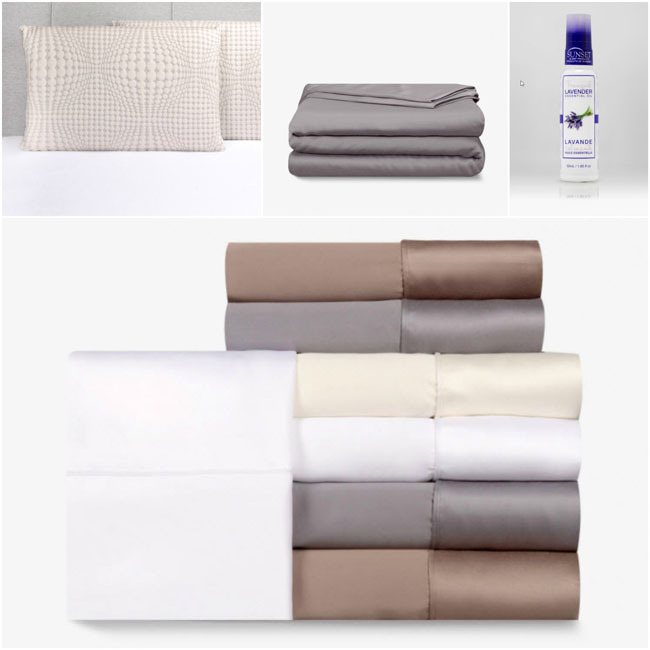 Some of my favourite items are pictured above, like the memory foam Bio-Soy™ pillows, which are made from bio-essential, all natural oils. They have a nice lavender spray and lovely sheets and duvet covers too. 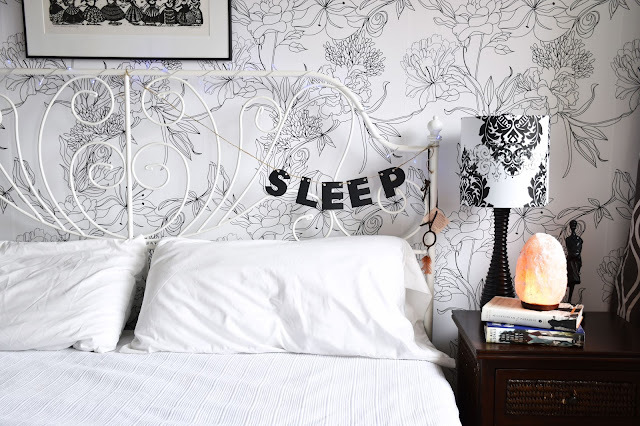 When's the last time you had a good night's sleep? Was the last time you slept like a baby when you WERE a baby? Or was it last night, last year or a decade ago? 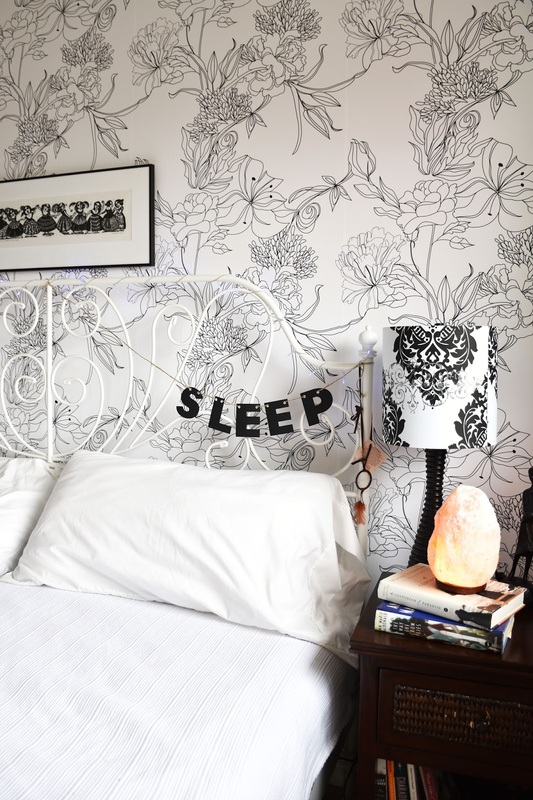 Generally I'm a pretty good sleeper, but I occasionally run into challenges - hormonal shifts, worries that return as soon as my head hits the pillow or a to-do list that's at the top of my mind. What are your tips for getting a good night's sleep? 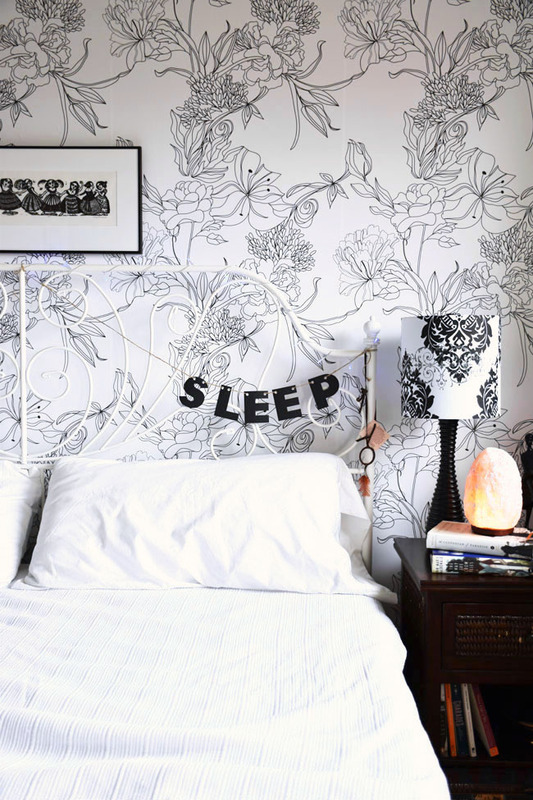 Is your bed as inviting as you want it to be?